Organised by CCMC with support from the European Union and in partnership with UNDP-PFF. Archana Kapoor at CCMC for event tonight! 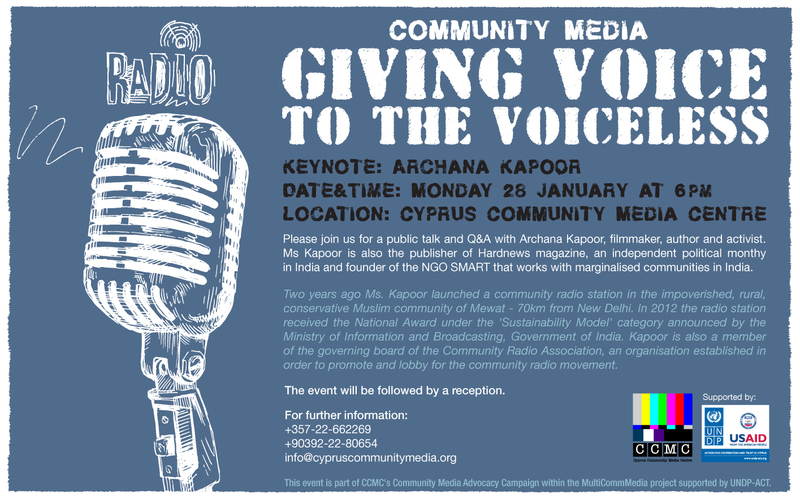 The CCMC team is privileged to have a community media activist in our midst today – Archana Kapoor, who will be speaking at a public talk on community radio in India tonight at CCMC, 6pm. (For directions to CCMC click here.) 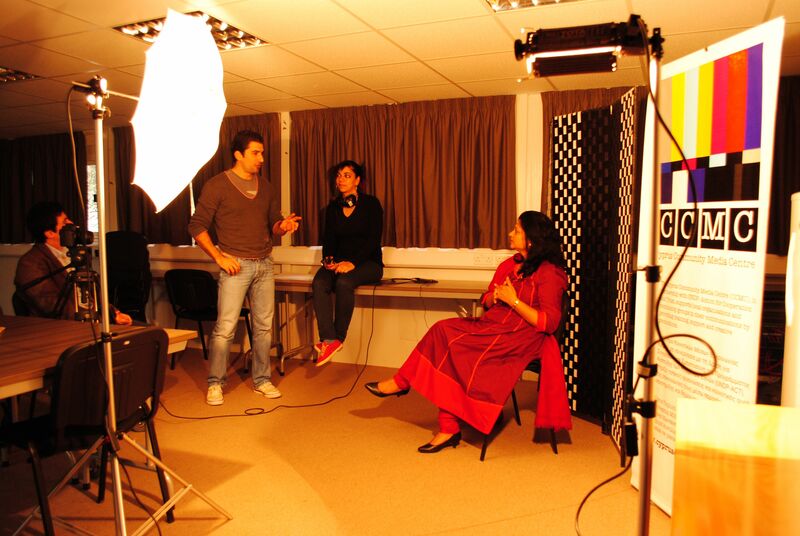 Here’s a link to the invitation and see below for a sneak peak of the interview we are recording with Archana – look out for more soon and see you all tonight! Youth Power party – what a night! Last night the newly branded Youth Power – a network of twelve organisations – launched their new visual identity and Small Grants Initiative at a fantastic party at the Home for Cooperation in Nicosia’s buffer zone. The venue was packed with people enjoying the live music (violin and guitar), and watching a series of great videos made by CCMC for Youth Power, featuring their street festivals, cultural initiatives and other recent peacebuilding activities. There was also a treasure hunt, and it was great to see so many young people involved in identifying hidden symbols in the Youth Power photo exhibits on display on the night. Youth Power are a CCMC member and also a fellow partner in the wider Peace it Together (PiT) network. To read more about the PiT partners, you can follow this excellent blog, featuring a plethora of snapshots, guest posts and articles on the network.